Before the advent of the giant shopping malls, the residents of Rio, the Cariocas, chose to shop in the late afternoon when the temperature began to fall. That changed in April 1980 with the opening of Rio Sul, a massive shopping complex that sits on the main artery linking Copacabana and Botafogo with the city. Centrally located Rio Sul is no more than a thirty minutes drive from most of the zona sul, including the beach areas of Copacabana and Ipanema. With the opening of Rio Sul, Cariocas were offered plentiful parking; most of the top stores under one roof, and climatic conditions that could be controlled. Rio discovered that it could shop comfortably rain or shine. At first the city stuck to the old habit of only going out in the afternoon, but this quickly changed so that Rio Sul’s more than 400 stores are now busy from the moment they open their doors at 10am to the time they close twelve hours later at 10pm. 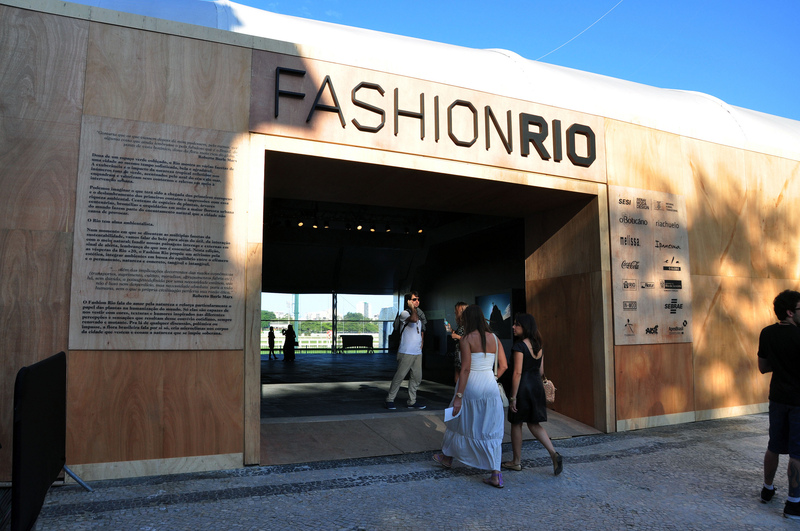 Each month more than 2 million shoppers visit Rio Sul. In October 1981, Rio Sul was joined by the even larger Barra Shopping, a massive US style mall located in the then new and fast growing residential area of Barra da Tijuca, a catchment area that also attracts customers from São Conrado, Ipanema and parts of the zona norte. Today Barra Shopping has over 600 stores that attract 2.5 million visitors each month. As well as a shopping centre, Barra Shopping boasts an extensive entertainment complex including the New York City annex with its multiplex cinema. Its most recent addition, Village Mall, is a shopping centre in its own right that focuses on high end brands, both national and international. It also has nice restaurants and bars, a multiplex and one of Rio’s most modern and comfortable theatres. 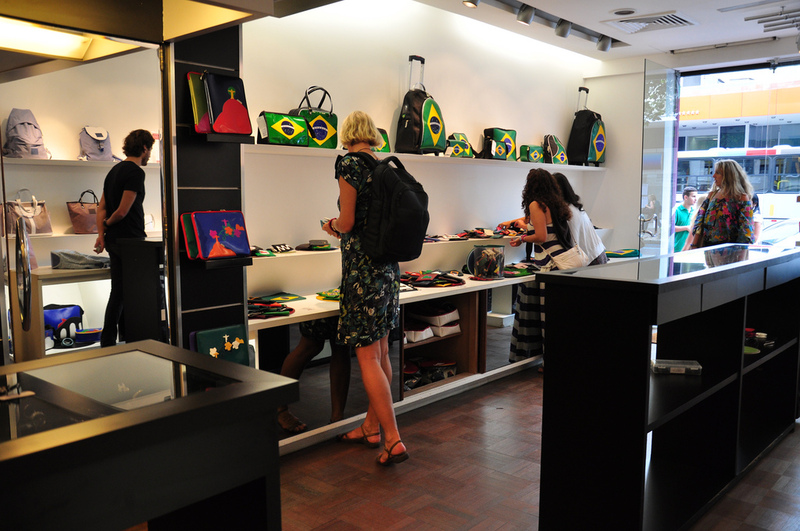 Smaller, but as popular as Rio Sul and Barra Shopping, is the stylish Leblon Shopping. Today big shopping centers can be found all over the city, from north to south, and are Rio landmarks in their own right having grown to become an integral part of life in Rio. Downtown (Centro): Stores downtown tend to cater for working men and women who prefer to shop during their lunch hour or as they dash from one appointment to another. Most fashions are on offer in downtown, although traditional men’s wear is still particularly strong. 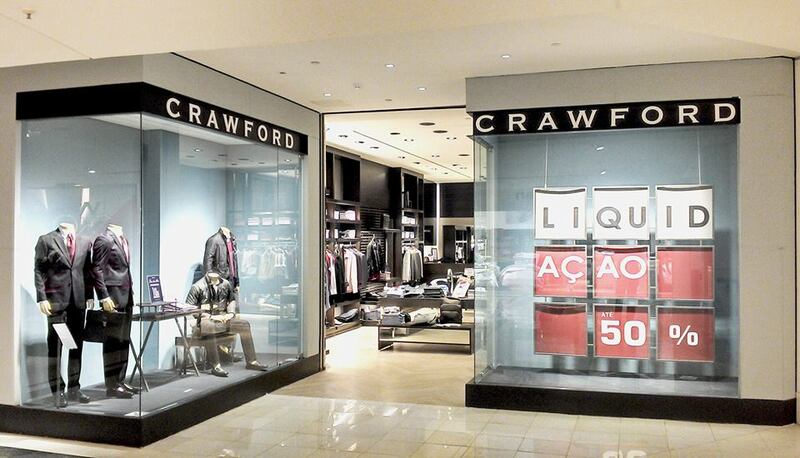 If you are a tourist, rather than a resident, it is unlikely that you will want or need to shop downtown. The classiest shopping areas are based around Rua da Quitanda from Rua da Assembléia up to Rua do Ouvidor. A more traditional area, on the opposite side of Av. Rio Branco, runs from Presidente Vargas down to Av. Almirante Barroso. Especially worth visiting is Rua Gonçalves Dias, which has the flower market at one end and Largo da Carioca at the other. 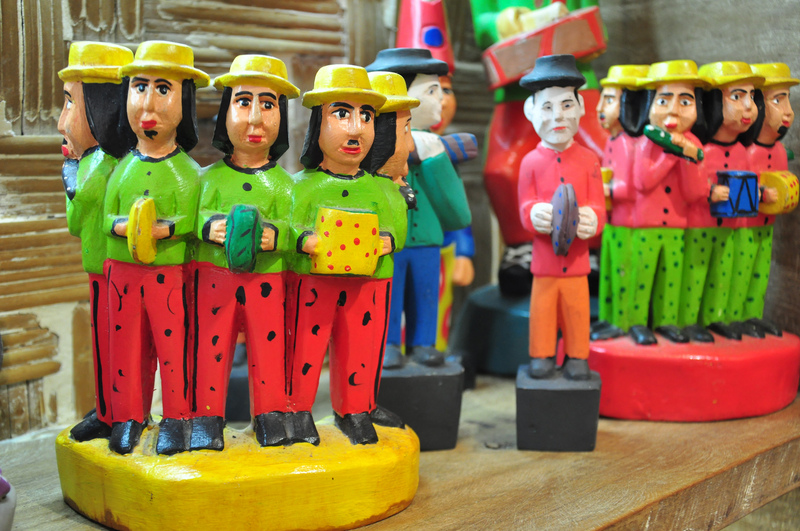 If you are in the mood, stroll down either Rua Senhor dos Passos or Alfândega, which run parallel with Av. Presidente Vargas away from Rua Uruguaiana. This is the heart of Rio’s “rag trade” where clothes of all types, including carnival costumes, are sold at ridiculously low prices. Copacabana: The glory days of Copacabana as Rio de Janeiro’s main shopping area are long gone and ended with the opening of the Rio Sul shopping center in nearby Botafogo. Today, shopping in Copacabana caters mainly for the area’s residents and the tourists who prefer to shop within a short distance of their hotels, and to be fair there is a lot on offer. 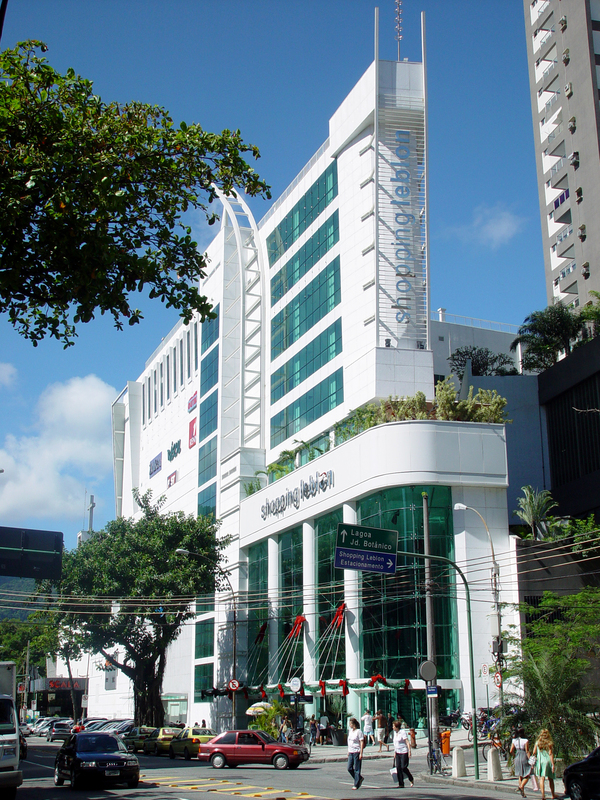 The main shopping area of Copacabana, where you will find branches of many of the main boutiques, is centered around seven blocks between Rua Paula Freitas and Rua Constante Ramos, with Santa Clara at its heart, although the tourist oriented stores spread on beyond Paula Freitas to Avenida Princesa Isabel. Ipanema, and Leblon: Despite Rio Sul and Barra Shopping, Ipanema, and to a lesser extent Leblon, remain not only the heart of fashion in Rio and Brazil, but also holds this exalted position throughout the rest of South America, especially as far as summer fashion goes. Shopping in Ipanema, depending on the weather and the crowds, can either be a joy or a nightmare, but the opening of the metro through Ipanema and Leblon to Barra has made it more accessible regardless of where you are staying in Rio. If you want to “do” Ipanema properly, take a cab or the metro to the start of Rua Visconde de Pirajá, at either the crossroads with Rua Henrique Dumont (Leblon end) or Praça General Osório (Copacabana end), and walk the street from end to end, going down on one side and back on the other. The street is a mass of boutiques and small shopping malls and many of the side streets are a shopping attraction in their own right. On Friday, a large fresh produce and flower market takes over Praça da Paz, the main square in the middle of Ipanema. This can be a fascinating experience for the visitor, but it does snarl up the traffic and makes the whole area extremely congested. In other words, if you want to shop calmly don’t choose Friday. The square at Praça General Osório is, of course, home to the traditional Sunday Hippie Fair. On the corner of Garcia d’Avila with Visconde de Pirajá you will find the jewel center of Rio with the splendid H. Stern building, the world’s largest jewelry store, dominating. Other major jewelers, such as Amsterdam Sauer, also have branches on the block. If shopping in Ipanema and Leblon, it will be worth visiting Leblon Shopping, which has an excellent selection of stores. Also close by is Shopping da Gavea. Barra da Tijuca: Avenida das Americas in Barra da Tijuca is Rio’s International Drive and the city’s most “American” shopping experience with a number of hypermarkets; large and small shopping malls; fast food outlets; car showrooms; and multiplex cinemas located along its length. Barra’s major attraction is Barra Shopping, South America’s largest and most complete shopping complex that is linked by bus to many of Rio’s major hotels or to the metro station. 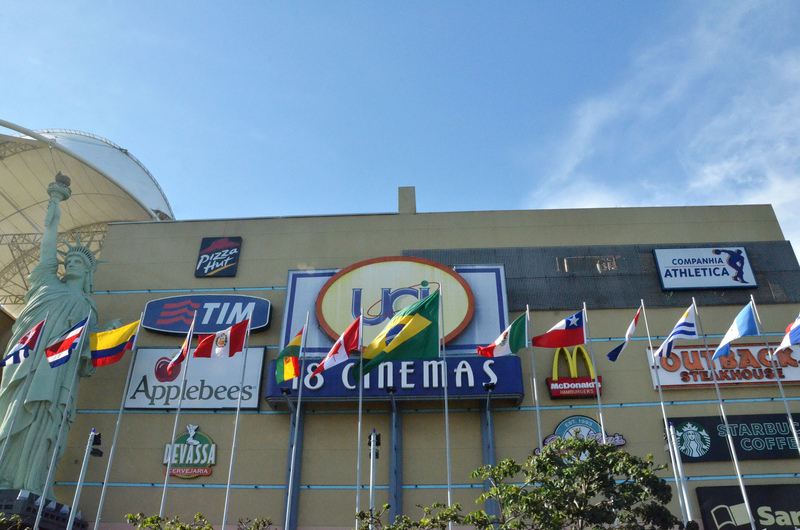 Other shopping centres include Barra Garden, Barra Point, Barra Square, Barra World, Casa Shopping, Citta America, Downtown, New York City, Rio Design Barra, Via Parque and Village Mall. About an hours drive (or more) along the coast from Ipanema you come to Barra Shopping, a complex which is billed as South America’s largest and most complete shopping center. A massive car park accommodates over 5,000 cars which bring the thousands of shoppers who daily come from all over the city to make Barra Shopping Rio’s busiest shopping center, especially in the afternoon and at weekends. 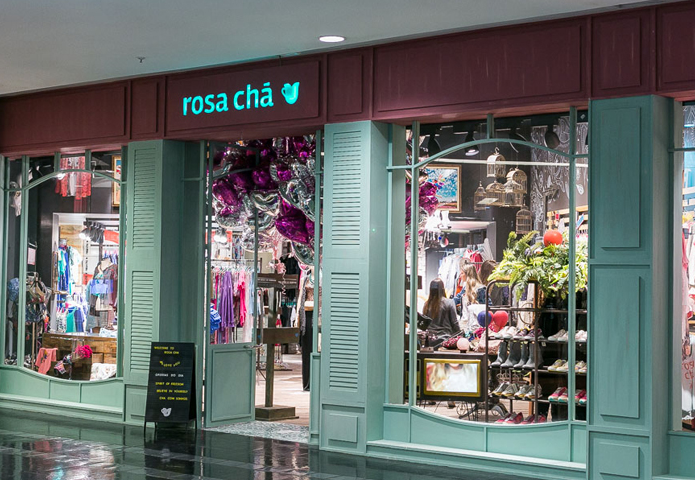 Over 600 boutiques and larger stores are found under one roof at Barra Shopping. Barra Shopping’s over two-and-a-half miles (4 km) of shop windows offer every top name in Brazil, both in terms of stores and products, and along with Rio Sul it is unquestionably the simplest way to shop in Rio. Stores in Barra Shopping are open Monday through Saturday from 10 am to 10 pm and on Sunday from 1 pm to 9 pm, although some of the stores that open on Sunday do not open on Monday morning. The leisure areas operate seven days a week from 10 am to 2 am or later. There is normally a plentiful supply of taxis waiting at Barra Shopping and there is a bus stop in front that links the BRT to-and-from the metro at Jardin Oceanico. Barra Shopping is also linked to the entertainment centre that is New York City Center ,which had 18 cinema screens at the last count. Rio Sul was the first major shopping mall to really work in Rio de Janeiro and on its opening day, in 1980, already had all its stores up and ready for business. Rio Sul never looked back from day one and is established today as a Rio landmark and one of the city’s busiest and most profitable shopping centers. 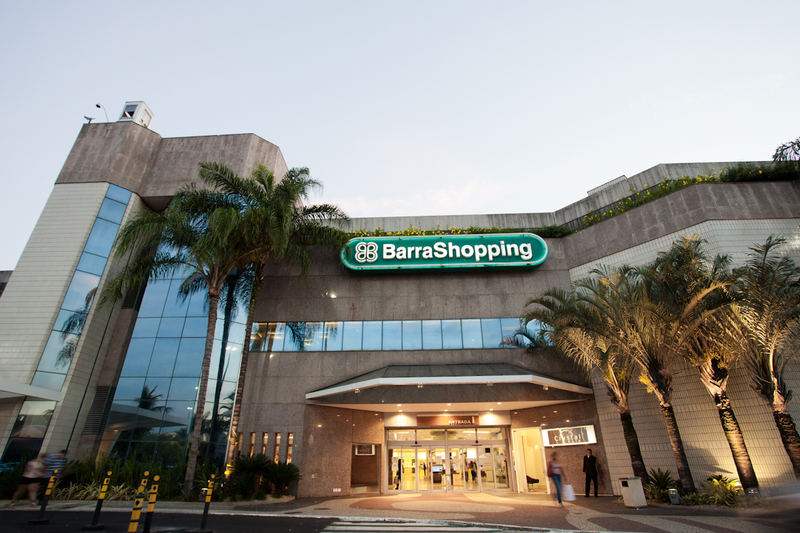 With over 400 stores covering of all the major fashion, electric appliance, book and gift stores, Rio Sul, like Barra Shopping, offers nearly all of one’s shopping needs under one roof and with plentiful parking. Rio Sul has a number of good snack bars and restaurants. There is also a six screen cinema. The center has a baby care center and a push chair service to save parents having to bring their own. 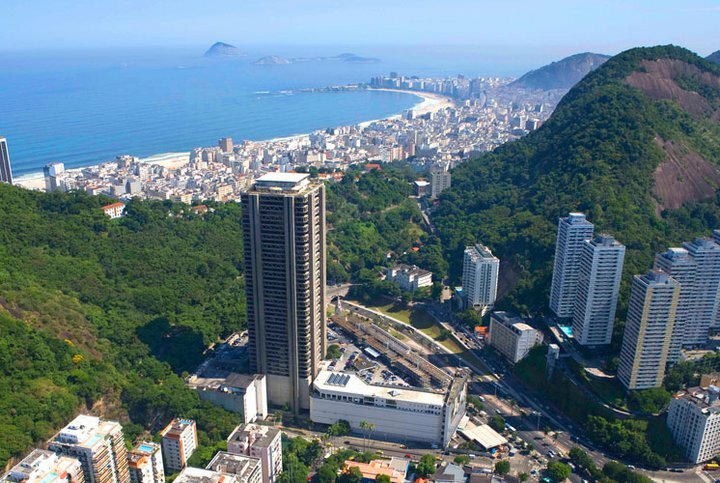 Rio Sul is a short cab ride from the hotels in Copacabana, Ipanema and Centro and is open Monday through Saturday from 10 am to 10 pm, and on Sunday from 3pm to 9pm, although the food court opens at 10am. Rio Sul also offers a free bus service linking the shopping centre with the Estação Cardeal Arcoverde metro station in Copacabana and vice-versa. The service runs Monday to Saturday from 10 am to 10 pm and on Sunday and holidays from noon to 9 pm. The Fashion Mall opened in 1982 and attracted many of the top names in Rio de Janeiro’s fashion world to create one of the city’s more pleasant shopping environments. The emphasis at the Fashion Mall is, not surprisingly, on fashion from clothes to shoes and bags and on to sports wear, with a few gift shops and design stores interspersed with the local handicraft stores and a couple of book shops and drug stores. In total the mall has just under 125 stores. 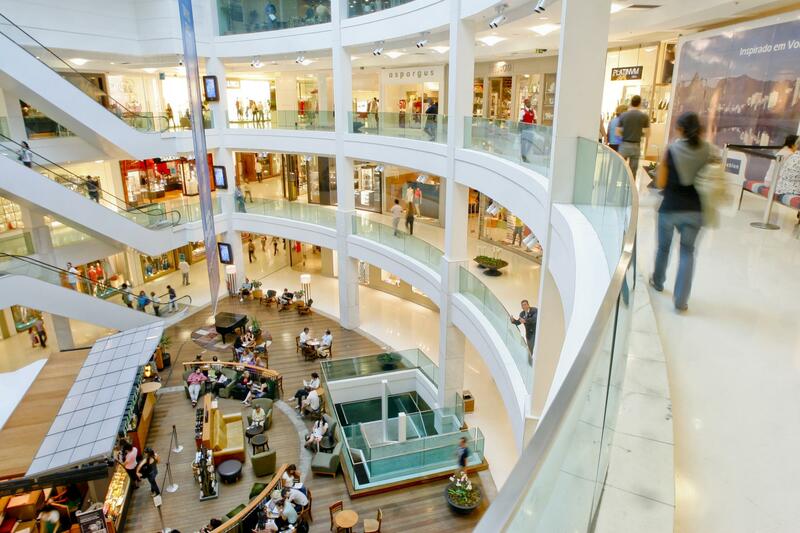 Fashion Mall, which is located within a short walk of the Nacional and Pullman hotels in São Conrado, has a number of snack bars and some popular and very good restaurants which include Burger Joint, Chez L’Ami Martin, Gula Gula, Gurume, Luce and Paru, and Pipo. The mall has plentiful parking, except at the weekend when you might have to fight to find a place, thanks to the popularity of the restaurants. It also boasts a 490 and 280-seater theatre and a mulitiscreen cinema. 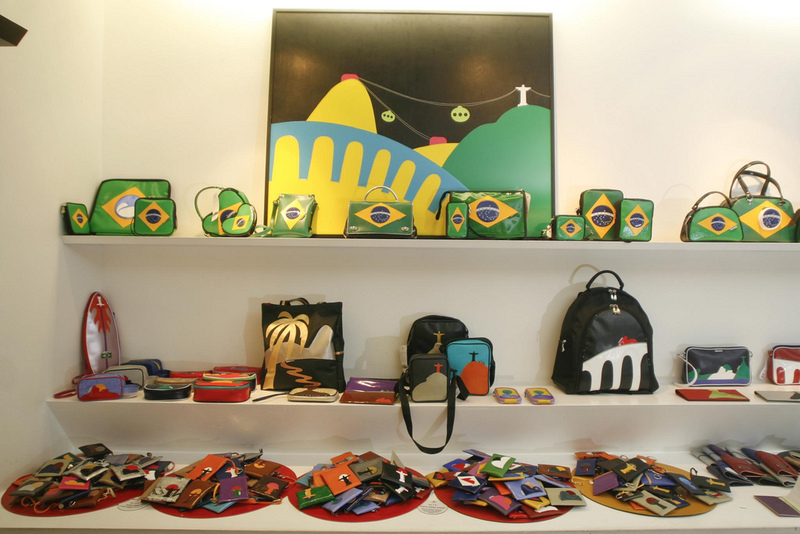 Shopping Leblon with its 200 stores quickly became a magnet for shopaholics in the zona sul since opening in 2006, and is conveniently located for both Ipanema, Lagoa, Jardim Botanico, Gavea and Leblon, and is next to the Jardim de Alah metro station. 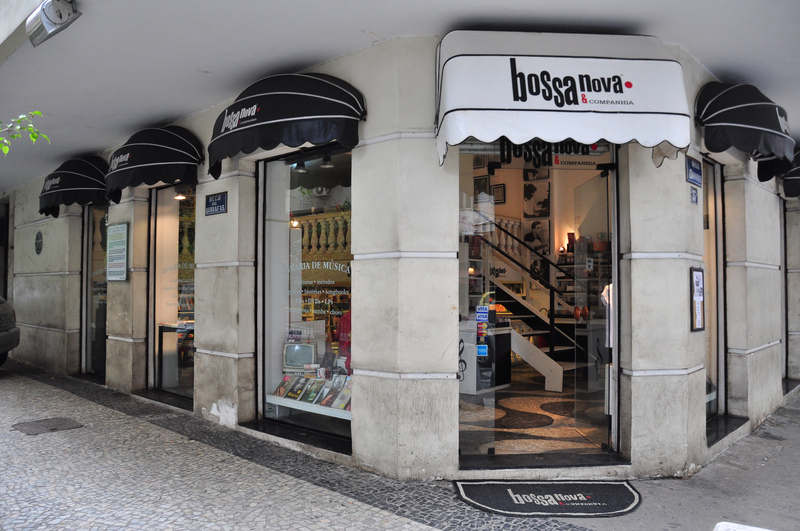 Mainly focussed on top end fashion and sporting goods, in Livraria da Travessa it has one of Rio’s best book stores and locations to buy CD and DVDs. There is a pleasant food court on the top floor with snack bars and restaurants, some with view across to the Lagoa and Corcovado. They include Abbraccio, Bazzar, Brasserie Mimolette, Cortes, Depanneur, Focaccia, Gero Trattoria, Nori, Nostro, Outback , Rascal and Vendita. Shopping Leblon is open Monday through Saturday from 10 am to 10 pm, and on Sunday from 1pm to 9pm, although the food court opens at 10am. The food court and restaurant also stays open to 11pm due to the cinemas, and midnight on Friday and Saturday. Shopping Leblon houses the popular Kinoplx 4 screen cinema, while next to the centre is the 916-seater Oi Casa Grande, one of Rio’s top and most popular theatres. Having opened for business in December 2012, Village Mall is squarely aimed at very wealthy Brazilians as the majority of the stores are operated by the very top and most sophisticated international and Brazilian brands. 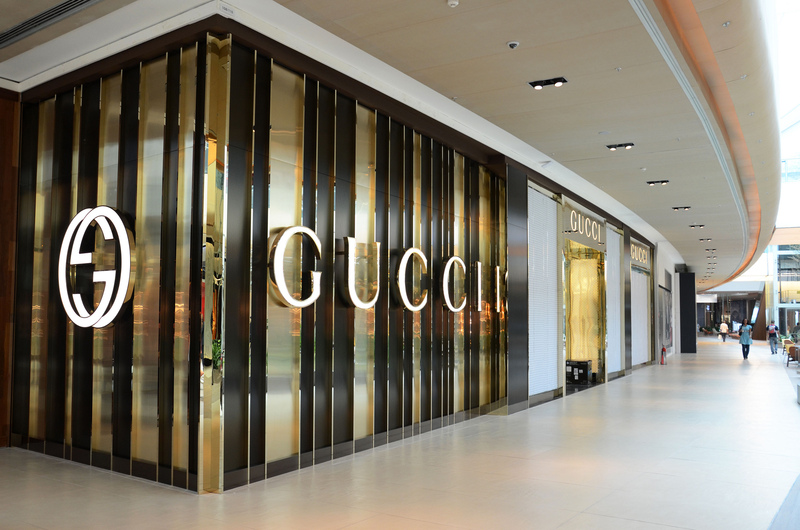 Visitors will probably find prices higher than they might pay at home, but if you can’t do without a fix of Armani, Burberry, Cartier, Diesel, Gucci, Hugo Boss, Louis Vuitton, Mac, Montblanc, Prada, Tiffany, Valentino, and many more, then this is the place for you. It is also home to Latin America’s first Apple store. The centre has a luxury four screen cinema, Cinemark Prime; the 1,060-seater Teatro Bradesco, one of Rio’s best theatres; and some charming bars and restaurants including Aconchego Carioca, Adega Santiago, Capim Santo, CT Brasserie, D.O.C. Bistro, Del Plin, Dengo,Giuseppe Mar, Le Vin, Madero, Naga, Pobre Juan and Quadrifoglio Caffe. Village Mall is open Monday through Saturday from 10.30 am to 10.30 pm, and on Sunday from 1pm to 9pm, although the food court opens at 10am. Brazil, and Rio in particular, has not built an image as the jewel capital of the world without offering top class gemstones at honest and competitive prices. Brazil is blessed with huge deposits of precious and colored gemstones, and in some cases, aquamarines for example, the country holds more than 90% of the world’s total supply. 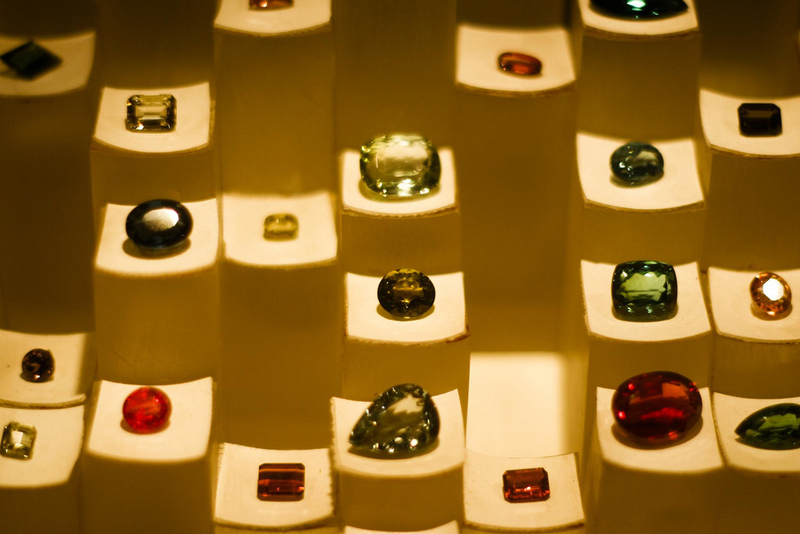 These large and varied deposits allow the jewelers to offer jewelry to fit every taste and budget. The jewelers are highly professional, winning awards throughout the world, and it is one of the best organized Brazilian industries. Rio has more jewelry stores than almost any other city in the world and some of them are better than others. 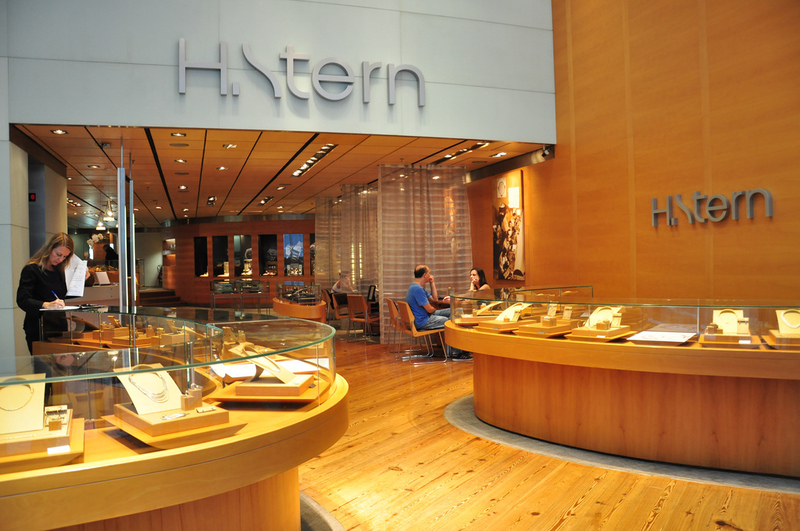 The most famous name in Brazilian jewelry is H. Stern who justifiably call themselves jewelers to the world with 160 stores in 13 countries, including shops at 645 Fifth Avenue in New York and in several other US cities, as well as Argentina, China, France, Germany, Israel, Korea, Mexico, Peru, Portugal, Russia, the UK and the Virgin Islands. Next to Stern, and normally their stores literally are, come Amsterdam Sauer, another international jeweler with worldwide connections. Other well-known Brazilian jewelers are Antonio Bernardo, Ben Bros, Rachel and Sara Joias. This is not to say that the other smaller jewelers are not reputable, but they prosper on the personal service they give to their resident customers over the years rather than the passing traffic of visitors. Because the jewelers in Rio are so well organized there is no reason to go into an in depth description of Brazilian gems. But to give you just a little taste of what’s to come, you can expect to learn about aquamarines, tourmalines, emeralds, topazes, amethysts, diamonds, rubelite, golden beryl, lapis lazuli, and a host of others. If Rio has a jewel center then it is Rua Visconde de Pirajá in Ipanema, between Rua Garcia d’Avila and Rua Anibal de Mendonça, where you can find H. Stern’s world headquarters, one of the largest jewelry stores in the world, which offers, on the third floor, a 15 minute tour through the world of Brazilian gems. 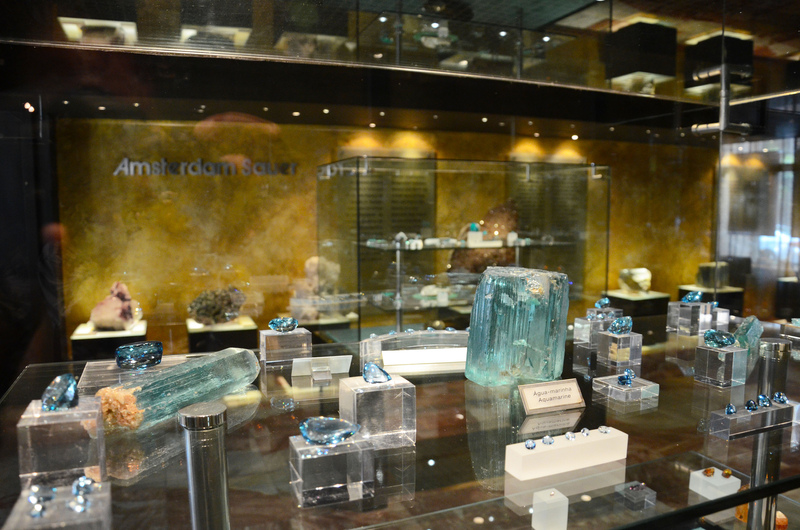 Close to H. Stern’s headquarters you can find a wide selection of other jewelers including a large branch of Amsterdam Sauer as well as its impressive museum of gemstones and rare minerals.